The flagship Lexus model drives as good as it looks, and it's looks are out of this world. After a week with the 2018 Jaguar F-Type 400 Sport, I didn't think any other car would attract as much attention. The 2018 Lexus LC 500h is styled to make everything else on the road look tame. From the way oversized spindle grill to the ridiculously wide rear end, Lexus' top-of-the-line sports coupe is designed to turn heads and spark conversations everywhere it goes. But the fact that it's a hybrid is really showing off. 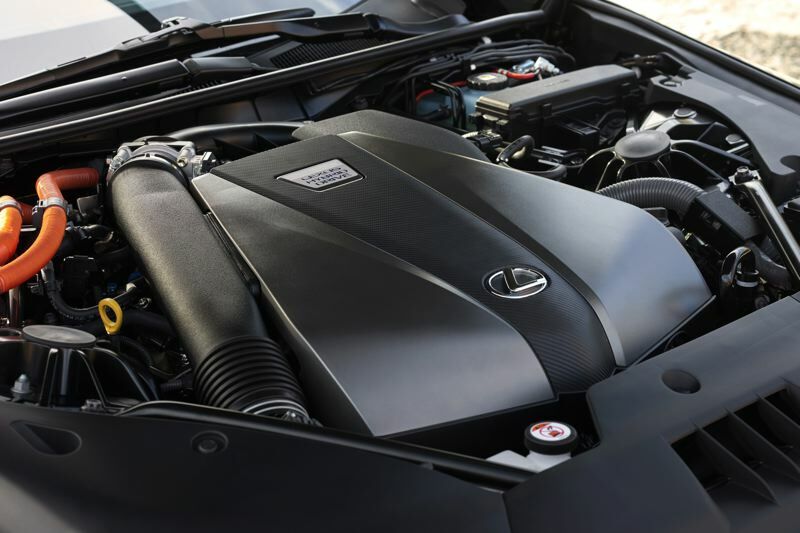 Lexus makes a V8-power version that looks the same and is slightly faster. But with a combined 345 horsepower on tap, the 500h only a little slower and gets much better mileage. But, like all hybrids, it is also more expensive. In this case, the combination of a 3.5-liter V6 and two electric motors adds over $4,000 to the $90,000-plus price tag. 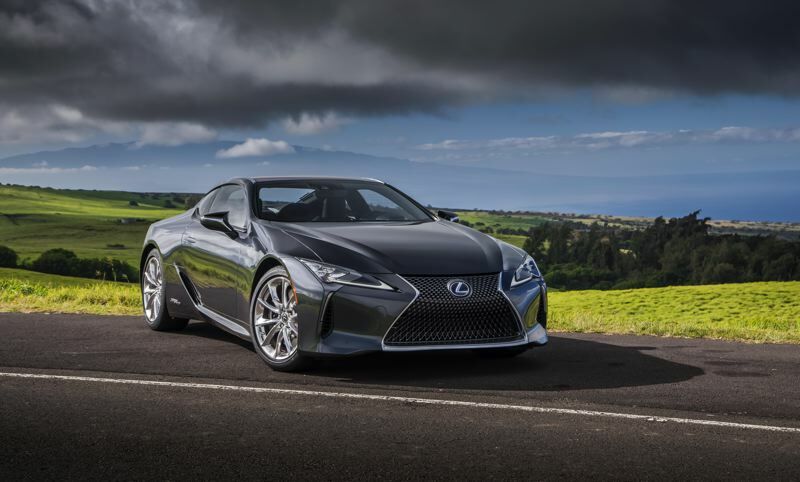 Add in a few options and the 2018 Lexus LC 500h can top $100,000, which means its owners must really want to embrace advanced green technologies. At least the investment pays off on the road. 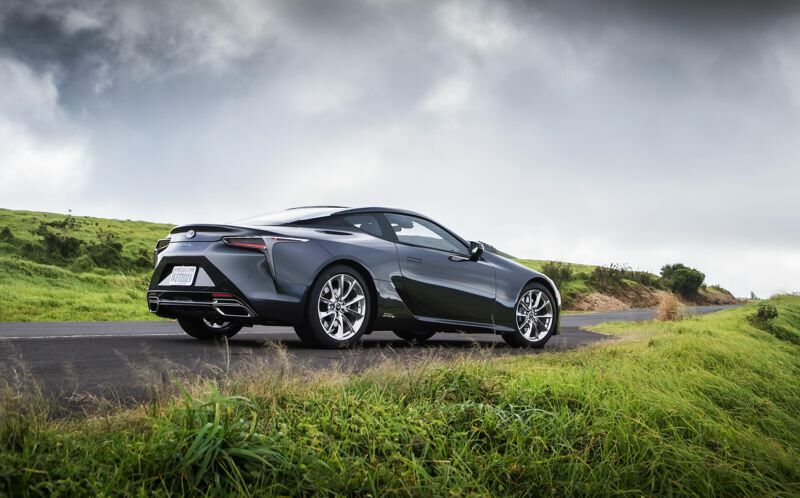 The 2018 Lexus LC 500h drives as good as it looks, with instant and awesome accelaration, thanks to the full torque available the split second the electric motors kick in. The performance is also aided by one of the most advanced Continuously Variable Transmissions on the planet, a responsive unit that overcomes all the noise and hesitation common with lesser CVTs. Switching to the manual mode even replicates a diver-controlled 10-speed transmission that automotically upshifts at the redline, too. The interior is also unusual — a leather-lined cockpit with a dash that escews the organic shapes gaining popularity in favor of tradtional straight lines. Although the touchpad that operates the dispaly screen in less than intuitive, the Mark Levinson surround sound audio system that came with the touring package more than compensated. 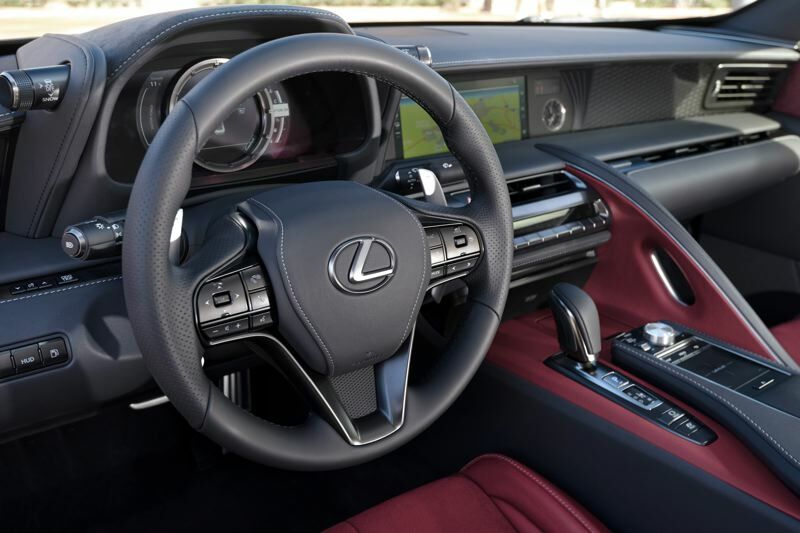 Because it has a back seat, traditionalists can argue that both versions of the 2018 Lexus LC 500 are technically sports coupes, not sports cars. But rear seat leg room is so limited, a shelf would have been just as practical. Trunk space is also constrained, probably by the battery pack under it. But no one who even sees the 2018 Lexus LC 500h would think anything about it is intended to be practical. The fact that it it is EPA rated at an average 32 or miles per gallon is a pleasant surprise, but not the first reason to consider it. That would be the impression you want to make on everyone else.